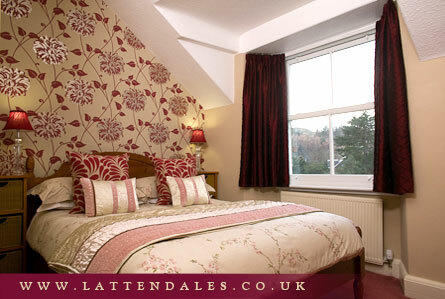 Lattendales has four comfortable en-suite double rooms, over two floors, each individually decorated in contemporary style. There are also two small single rooms with shared facilities. All rooms have television, Wi-Fi access for your laptop, hospitality tray and hair dryer.